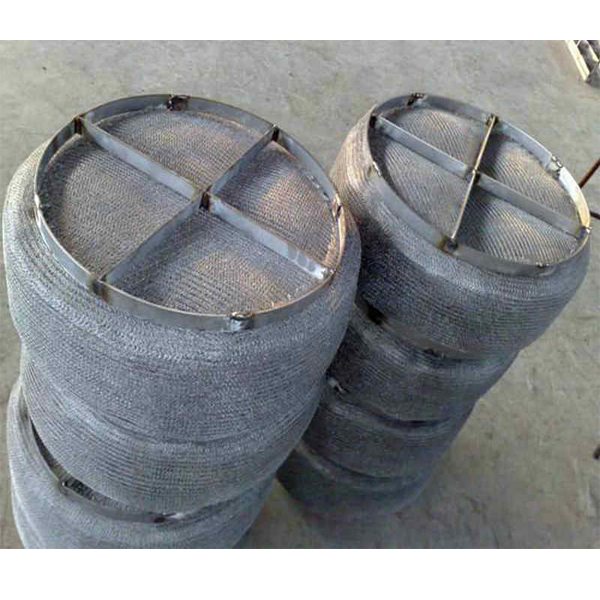 Wire mesh demister is a kind of vapor-liquid separating device, It is used to remove the steam, entrained droplets in the processing equipment when the gas go through demister wire pad, with big surface, high demisting efficiency, and long working life, good resistance. 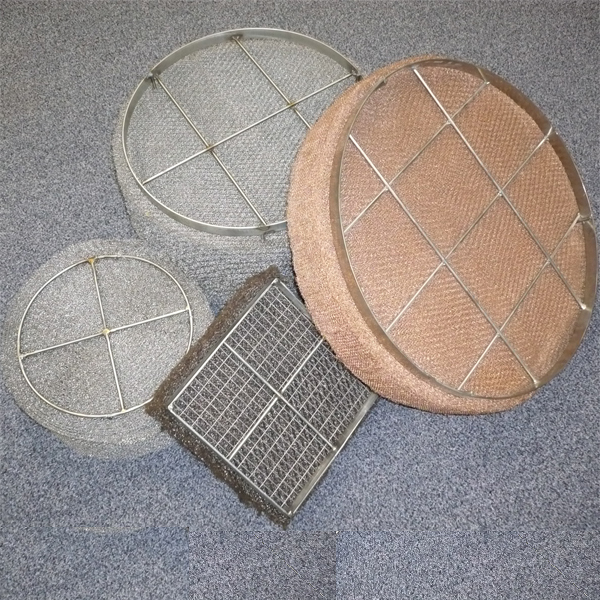 * Wire Mesh Demister Material : Stainless Steel 304L, 316L, Monel, Nickle, ect. * Wire Diameter : 0.08--0.50mm, But 0.2mm-0.25mm are the most common wire diameter specifications. * Width : 40mm, 80mm, 150mm, 200mm, 300mm, 400, 500mm, 600mm, 800mm, 1000mm, 1200mm, 1400mm, etc. Less than 1000mm width are the most common width and are easy to make. Also available upon customers' request. 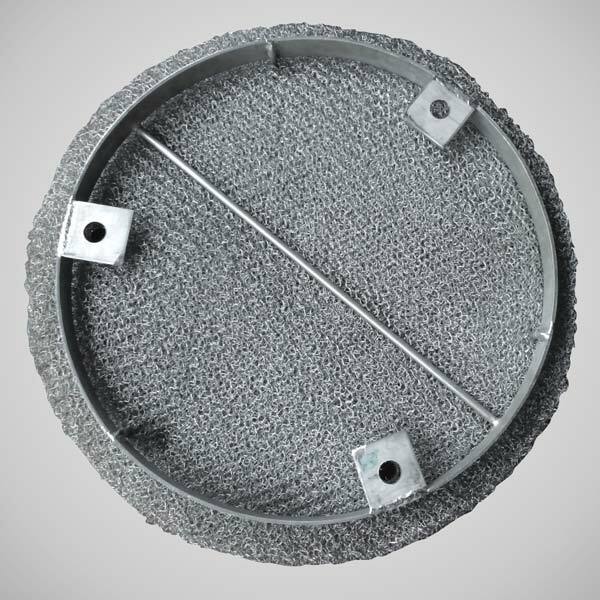 Wire Mesh Demister (also is known as mist eliminator, Demister Pads) is a highly efficient gas-liquid separation device. Operation Principle of Demister For example, gas from liquid (L) converts to vapors (V) in distillers. When vapors rise, the surface of liquid breaks to generate micro particles of liquid and deliver them with gas through demister. In this process, micro particles increas in volume due to inertial collision principle on the surface of pad. 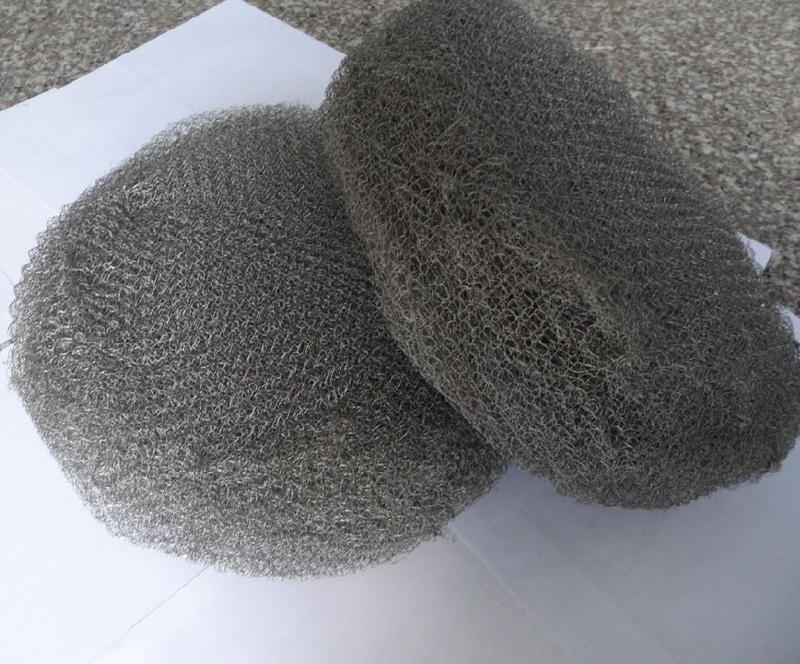 Particles that contain impurities free fall due to the weight of impurities. 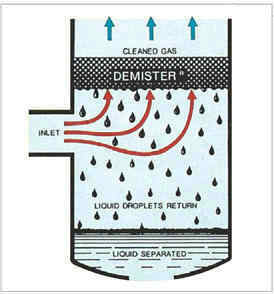 Gas come through demister or contain liquid particles release as pure gas to the top of demister. 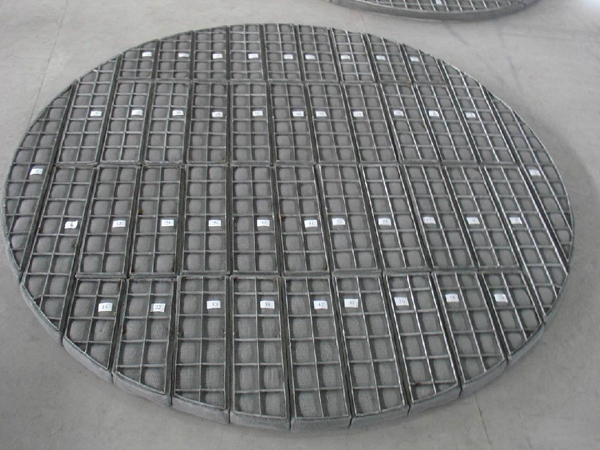 Looking for ideal York 709 Demister Manufacturer & supplier ? We have a wide selection at great prices to help you get creative. All the York 709 Demister Pad are quality guaranteed. 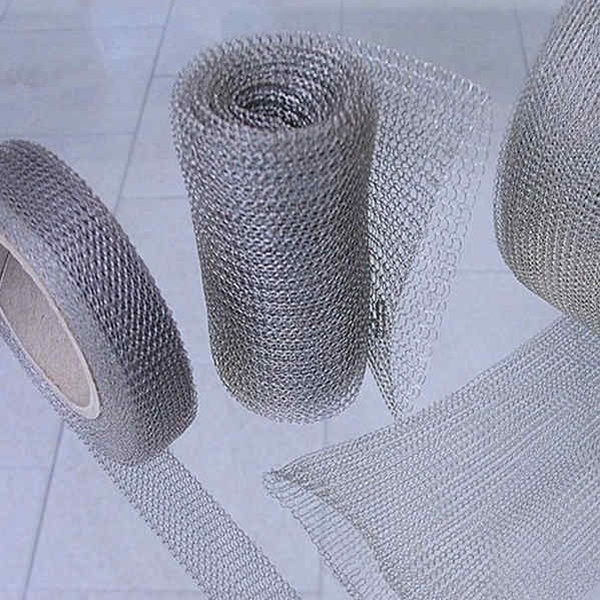 We are China Origin Factory of York Mesh 709. If you have any question, please feel free to contact us.